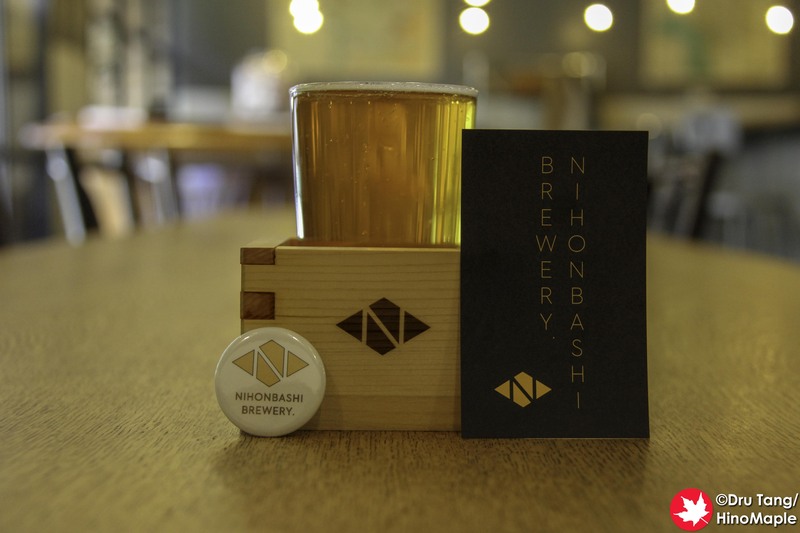 Nihonbashi Brewery is a cool little shop that is a little ways away from Nihonbashi. 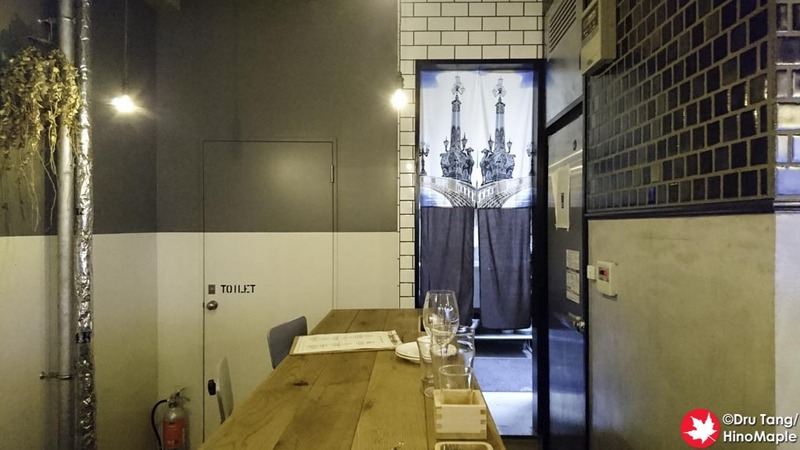 Their first shop opened in the area of Bakuroyokoyama, also close to Bakurocho, Kodenmacho, and Ningyocho stations. There are many options to getting there but finding the restaurant can be really difficult as the streets all look the same and even with GPS it is pretty easy to get turned around. 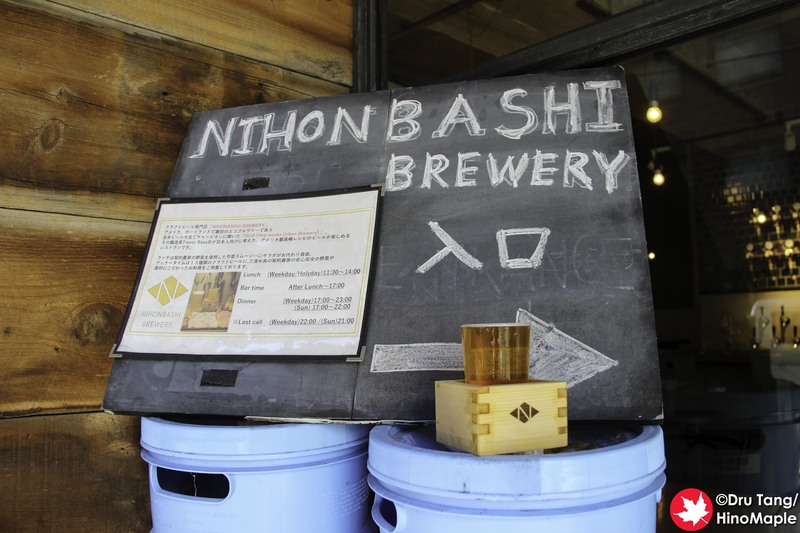 Nihonbashi Brewery, contrary to the name, is not an actual brewery. They try to make things look and smell like a brewery but unfortunately they are not yet a brewery. I believe they are trying to get a brewing license but at the moment they purchase most of their beers. 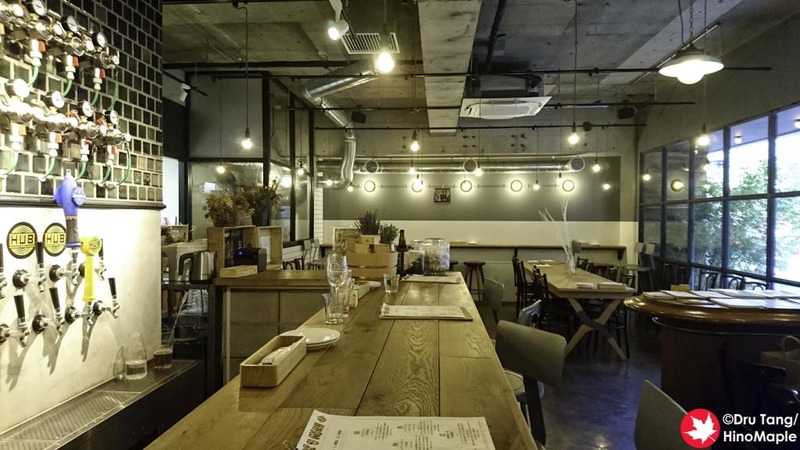 The exterior of the restaurant is really nice and inviting with a warm industrial feel inside. I really liked the look of the shop and it seemed like a really good and chill place to relax. 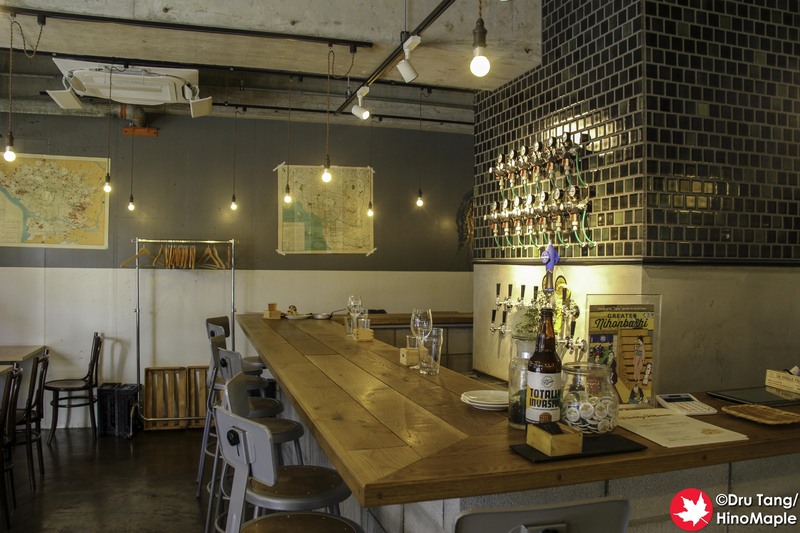 The first time I went, I didn’t have a chance to eat the food but I was able to sample the beers at Nihonbashi Brewery. 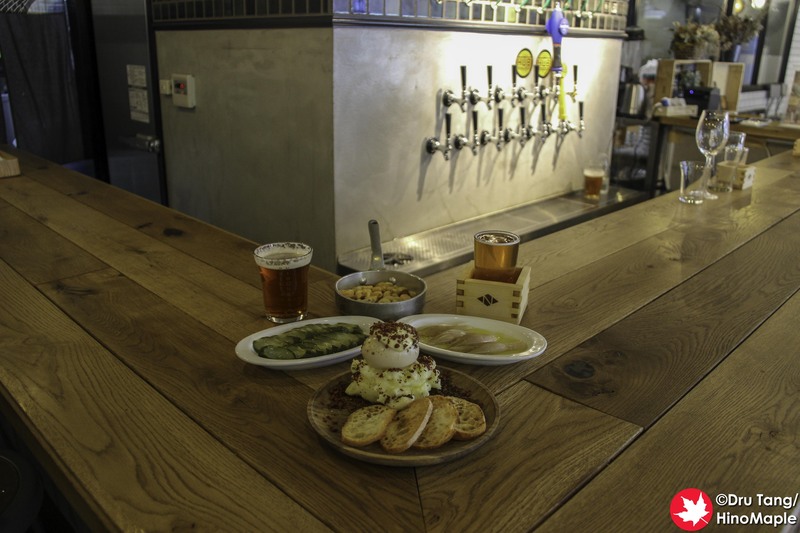 They mainly have beers from Hitachino Nest, Baird Beer, and Hopworks Urban Brewing, although they are expanding their lineup and getting beers from other breweries. I had the Hopworks Organic IPA, which was good as always. 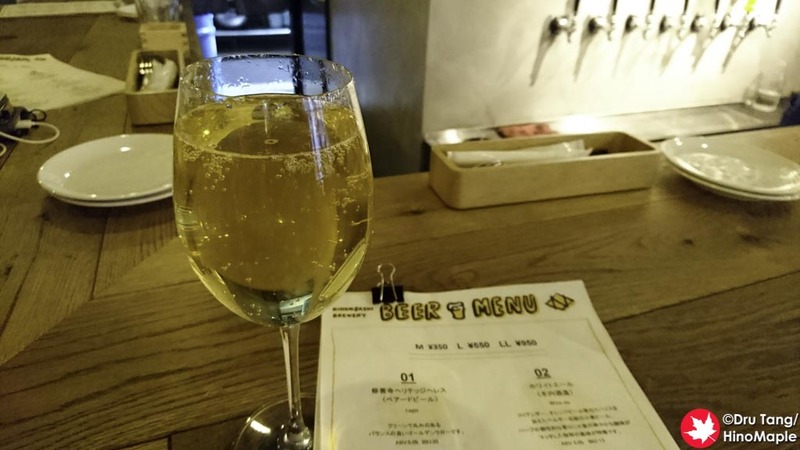 I also had a chance to try the Original Sin Pear Cider. Both drinks were really good and it was great to be able to go in, relax, and enjoy the ambiance. My second visit was actually for Taiheiyogan. I started off trying to get some photos before they opened but I was unable to get anything done. I had a little malt tea, which was nice, before I had to leave and let them take care of their customers. 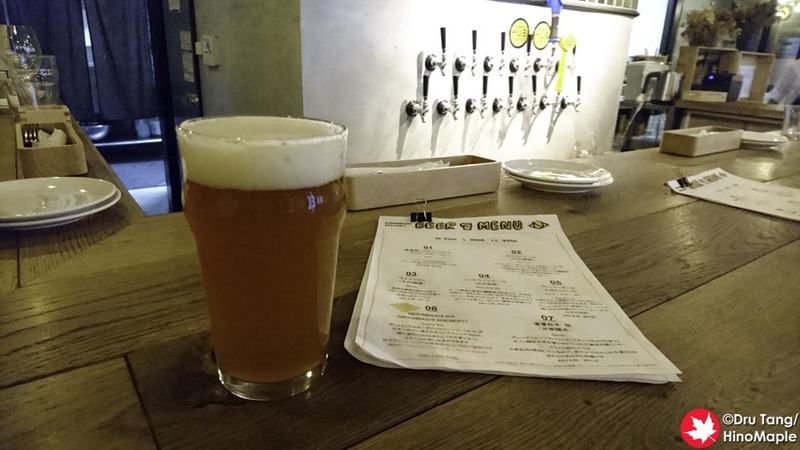 I returned after lunch and had their Nihonbashi IPA, which was brewed by Hopworks. It was a nice IPA and the sake masu was a nice touch. 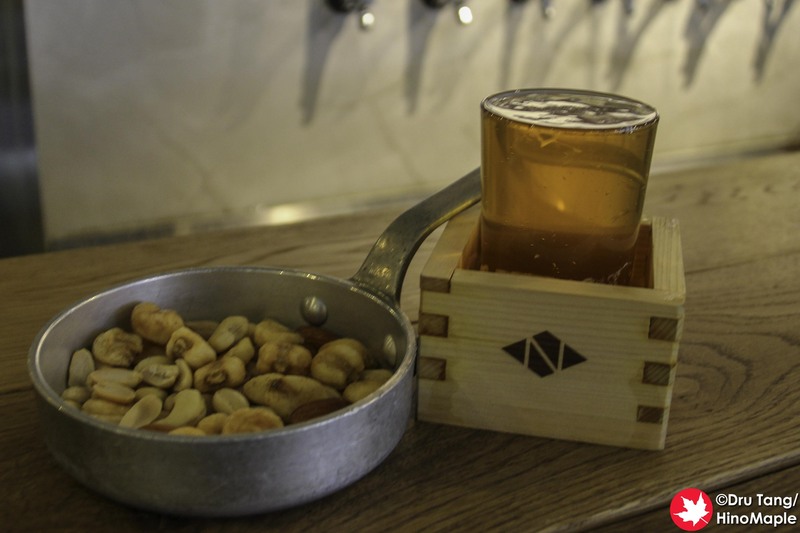 I also tried a few dishes from Nihonbashi Brewery. They had a couple of pickle dishes, smoked nuts, and a really good potato salad with a soft boiled egg. The potato salad was heaven but I was a little underwhelmed by the pickles. I was a bit biased because I was starving and we missed lunch by a few minutes so I wasn’t so happy with the offerings. Understandably they have to take a break and with only 1 person working during their café time, they really couldn’t do anything to help and I completely understand the situation. Upon reflection, I know that the food was really good and I was just sad that I couldn’t try their best offerings. I can easily see myself returning for lunch or dinner in the future. I can also see the huge potential in this shop based on the lunch crowd. It was so busy that they had to turn people away. I can only wonder what dinner is like and hope that they continue to succeed. I will definitely be going to their Tokyo Station location in the future as well so expect to read more about this chain. 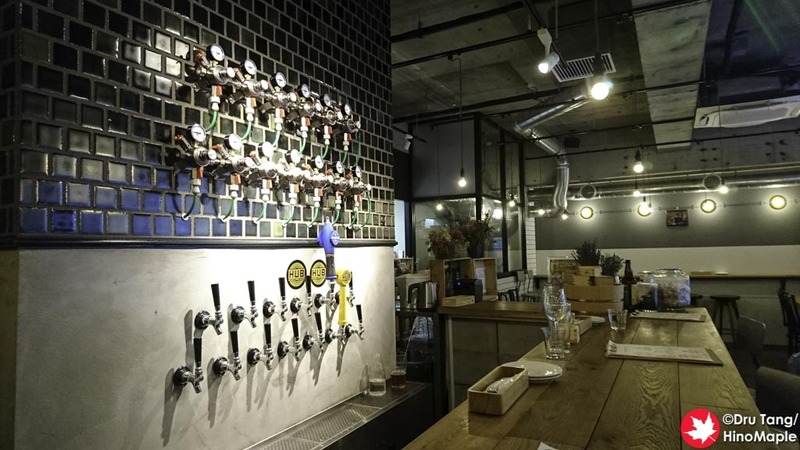 This entry was posted in Tokyo Food and tagged Bakuroyokoyama, craft beer, Hopworks Urban Brewery, HUB, japan, Nihonbashi, Nihonbashi Brewery, tokyo by Dru. Bookmark the permalink.